Whether you are planning an intimate dinner or a full-scale wedding, The Gulf is the perfect location to celebrate life’s greatest moments. We offer a casual-chic waterfront hideaway that creates a warm and inviting atmosphere for your guests. The Gulf is committed to sustainability and do all that we can to reduce our carbon footprint. Our custom-crafted food and beverage menu showcases locally focused ingredients with stunning presentations featuring Gulf seafood from our farming neighbors. Our flexible floor plan works with any vision and design, giving you a versatile space for your unique needs. 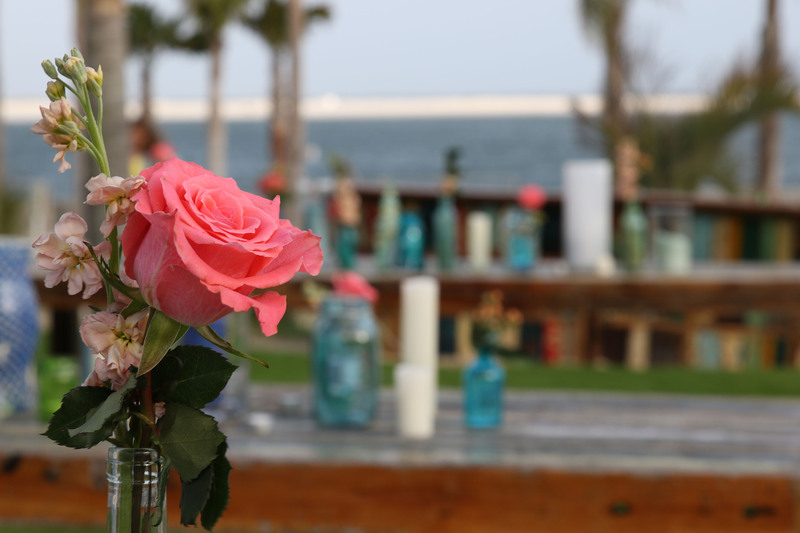 Featuring recycled, reclaimed, and salvaged materials, our waterfront design provides a beautifully relaxed environment for special events of all sizes. From intimate gatherings to huge celebrations, The Gulf’s natural surroundings and stunning views serve as the perfect backdrop. Host your event at one of our two locations in Okaloosa Island or Orange Beach and let us help you create magic. Contact us today for answers to all your questions and to start planning your next special event. To inquire about hosting your next event at The Gulf in Orange Beach, please contact us via email at Magic-ob@thegulf.com. Everyday: 11 a.m. - 10 p.m.